Before heading out to that next event, remember to make a plan with your friends that include going out, staying, and coming home together. If you notice a high-risk situation or something that gets your gut, consider the "3 Ds" and intervene. Stick with friends – stay together and leave together. Make sure to charge your phone before going out. 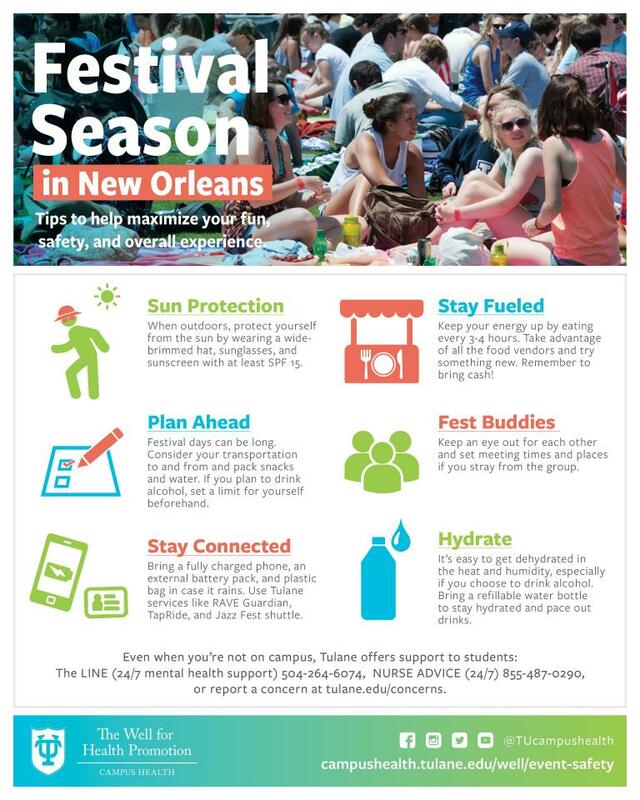 Pack a backpack, bag or fanny pack with festival essentials: Water, snacks, hand sanitizer, your ID, and health insurance card, tissue. Make a plan for transportation to/from the festivals – bring cash for a cab. Avoid trying to "Keep Up" or "Catch Up" with your friends. Stick to your own limits. Know the source of your drinks. Alternate alcoholic with non-alcoholic drinks to help you stay hydrated.